Make Waves on Mission Bay During Kids Free Month! Have you heard? It’s Kids Free month in San Diego! Nope, that doesn’t mean San Diego is free from kids. But rather, just about everything for a kid’s visit (with their family) to San Diego is Free – as in free admission to all the major attractions, museums and so much more. 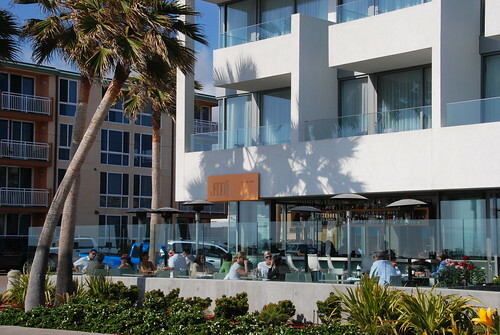 Kids Free month deals abound in Mission Bay! 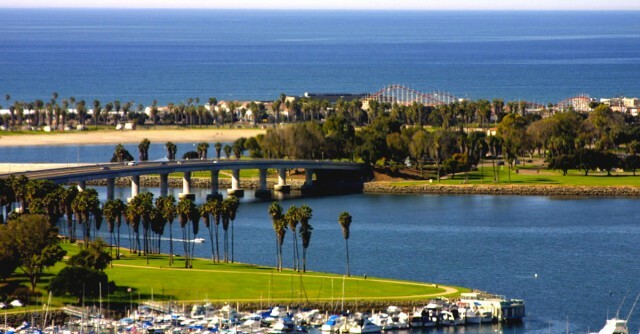 One area that was made for play is Mission Bay, a 4,600-acre aquatic wonderland of beaches, walking/bicycling trails, family-friendly resorts, water activities and famous attractions like SeaWorld. 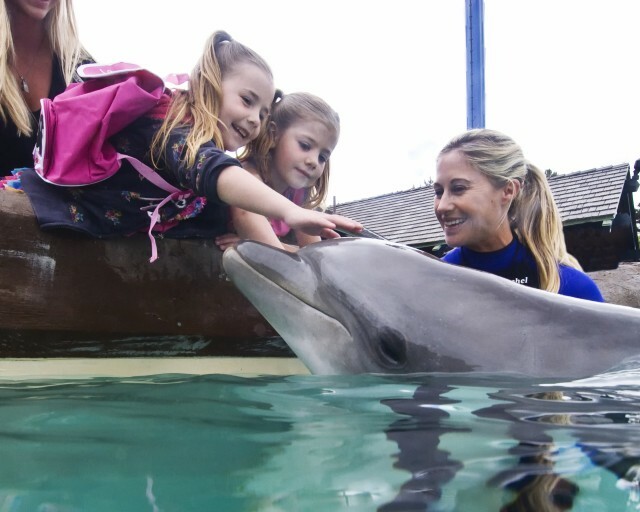 Kids can enjoy the Dolphin Interaction Program at SeaWorld for free! SeaWorld San Diego offers kids 3-9 years old free admission (1 child per paid adult), free Dine With Shamu (1 child per paid adult) and free Dolphin and Beluga Interaction Programs (1 child 10-13 years old per paid adult). 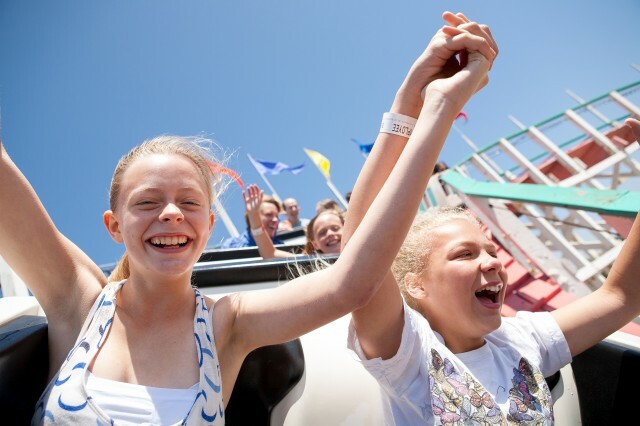 Free kids rides on the Giant Dipper roller coaster by Mission Bay! At nearby Belmont Park, home of the thrilling Giant Dipper roller coaster, kids can enjoy unlimited free rides and laser tag (1 child per paid adult). They also ride for free (1 child per 2 paid riders) on FlowRider or FlowBarrel. The tropical Paradise Point Resort offers kids free bike rentals to cruise the bayside plus free kayak and standup paddleboard rentals. Kids ride free on the Bahia Belle sternwheeler! Ahoy! 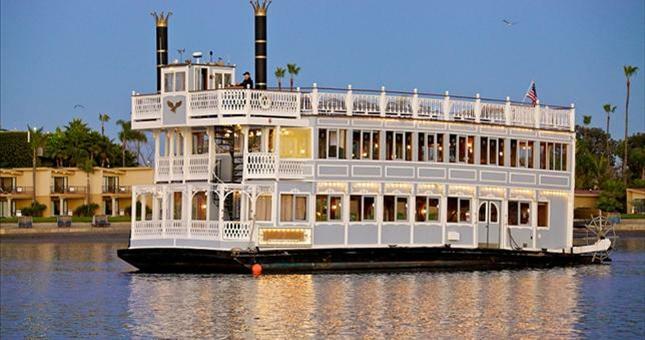 Kids ride for free (1 child per paid adult) on the Bahia Belle sternwheeler cruise at the Bahia Resort Hotel. Kids eat free (with each adult purchase) at the Bahia Resort, Catamaran Resort (The Atoll restaurant) and The Dana on Mission Bay (Blue Pearl restaurant). They also get free breakfast at Hyatt Regency Mission Bay. At Belmont Park, get your grub on with free kids’ meals (1 kids meal per paid adult meal) at Wavehouse Beach Club, South Mission Draft and North Shore Café. Upon check in, Hilton San Diego Resort is giving out a free welcome gift to kids who check in. At the hip Tower 23 Hotel, each kids receives free milk and cookies plus a movie rental! 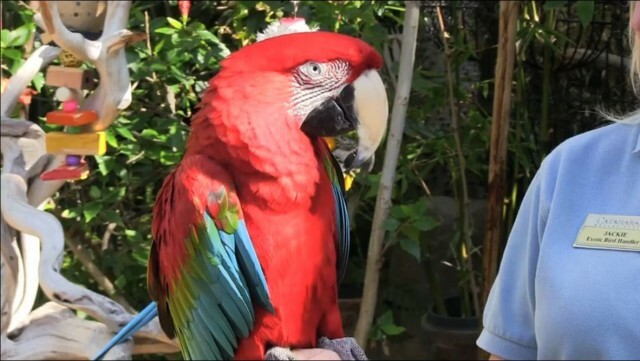 Meet a parrot named Cornell at Catamaran Resort! You’ll also want to check out these awesome free animal encounters on Mission Bay! One of the best beach boardwalks in America is right here in San Diego – but we already knew that! Travel & Leisure Magazine recently recognized Ocean Front Boardwalk as one of America’s Best Beach Boardwalks. Ocean Front boardwalk is a three-mile boardwalk running along Mission and Pacific beaches. By day, it is a never-ending parade of bicycles, skateboarders and people catching a little sunshine. By night it becomes a happening scene with clubs coming alive SoCal style. Along the boardwalk you will find Belmont Amusement Park which features great views of the ocean from its wooden roller coaster. What you won’t find is an uptight attitude. The boardwalk always features a diverse crowd of visitors, carefree locals, and even a few suits trying to catch a wave on their lunch break. One of the best spots to enjoy the boardwalk is at Tower 23’s award winning restaurant JRDN. The restaurant is a contemporary steak and seafood restaurant featuring California cuisine for breakfast, lunch and dinner daily. Additionally, on the weekends it offers brunch from 9 a.m. to 4 p.m. To celebrate Ocean Front Boardwalk status as one of the best boardwalks in America, JRDN is giving away four passes to its weekend brunch where you will be able to see firsthand what a cool boardwalk it is. To win, enter here.